While filming an adventure show for the corporation, Sir Ranulph Fiennes and Sir Robin Knox-Johnston were stopped from firing up the stove unsupervised in case they had an accident, it was claimed. They were given a "huge" document warning them about hazards such as tripping over while filming in Afghanistan, Cape Horn and the Canadian Arctic, Sir Robin said.He continued: "Ran and I were told we could not light a Primus stove unless we were supervised.This young man came in and said he was going to supervise and we told him to clear off… or words to that effect." Top Gear seems to have lost its way Cost forces Top Gear to slam the brakes on Italian Job TOP Gear has pulled out of a daredevil stunt that would have re-enacted the final scene of iconic 1969 film The Italian Job, saying the cost would have been "massively prohibitive". The scene sees the robbers stuck at one end of a coach with their stolen gold precariously balanced at the other – hanging over the edge of a mountain after sliding off a road. A spokeswoman for the BBC show said: "We thought it would be brilliant to recreate the Italian Job scene, so we were disappointed when, having spent a lot of time researching all the options thoroughly with the Royal Society of Chemistry, we found that the cost of the stunt was massively prohibitive." The Society said the bus was to be hung from the lip of a Midlands quarry and it had found volunteers to act as the robbers.A statement from the Society said: "Our volunteer chemists were happy to board the bus in order to push the frontiers of human knowledge. “Push the frontiers of human knowledge”? More like get yourself on the telly so you can brag to your mates down the pub, and anyway WTF has a coach full of gold hanging off a cliff got to do with cars? Python fans are in for a treat Something completely old THE Monty Python team is reuniting in a documentary to mark the 40th anniversary of the first broadcast of the BBC show. Monty Python: Almost The Truth (The Lawyer's Cut) will see the Pythons tell their life stories. 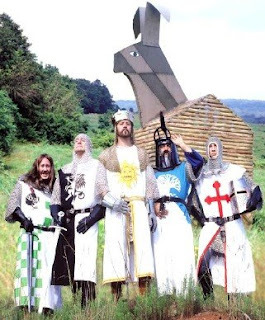 The Monty Python's Flying Circus troupe comprised John Cleese, Terry Gilliam, Eric Idle, Terry Jones, Michael Palin and the late Graham Chapman. A man who says he doesn’t watch (and only uses it for watching DVDs and videos) TV made 885 offensive calls to the BBC over license fee letters Scotsman.com News A MAN with a "massive grudge" against the BBC bombarded it with 885 offensive calls over six months. Edward Elliot admitted telephoning a call centre using offensive, indecent and menacing language while under the influence of alcohol.One day, he called Capita in Glasgow, which provides a BBC information service, 157 times. Elliot, 45, who lives in a remote cottage near Newcastleton, Roxburghshire, used sexually explicit language if the calls were answered by women and was abusive to men. A previous hearing was told Elliot was angry at receiving demands for a television licence fee despite claiming he has not watched television for six years. Asked to explain his behaviour, Elliot claimed he had not watched television for six years and had not had a licence for six years, but had received demands for £1,000 for not paying his licence fee. He said he only used a television to watch DVDs and videos.Elliot's lawyer Rory Bannerman said the calls were made when his client was under the influence of alcohol. He added: "He expresses remorse and realises his conduct was wholly unacceptable. "Sheriff Kevin Drummond sentenced Elliot to 100 hours community service.He had sentence deferred for six months for good behaviour after admitting disorderly conduct and breach of the peace in Hawick High Street on 9 January. Yeah and I only use my TV for DVDs and Videos too, can I have a refund? From Canada Homes selling for less than new cars WINDSOR, Ont. - Real estate prices in Windsor-Essex are dropping lower than what it would cost to buy a new car. Mark Imeson, president of the Windsor-Essex County Real Estate Board, says he has seen houses selling for just $25,000. He blames the low prices on the rising number of so-called power-of-sale properties, which have been taken back by the bank and turned over to the Canada Mortgage and Housing Corp. for sale. Imeson says some houses are selling for what the lot alone is worth. He says last month, the majority of real estate sales in Windsor-Essex were for less than $100,000. But he also says the lower prices could be a catalyst for people thinking of moving into the area. Maybe something else to look forward to. TV license or not, he sounds an unpleasant character! Elliot needs to get a life! I love your news bulletins - saves me from buying papers, yay.